From its infancy SeaQuantum has developed through a number of carefully controlled stages to emerge as a clearly identified solution to the regulations for low environmental impact-and provide unrivalled benefits in economical, self-polishing antifouling performance. SeaQuantum has achieved adulthood by meeting the criteria that enables Jotun Paints, with confidence, to launch the range to its customers. The butterfly has been selected as a visual representation of SeaQuantum. The butterfly also develops through a number of stages to finally emerge free and safely into the environment. Like the butterfly, SeaQuantum is born free. 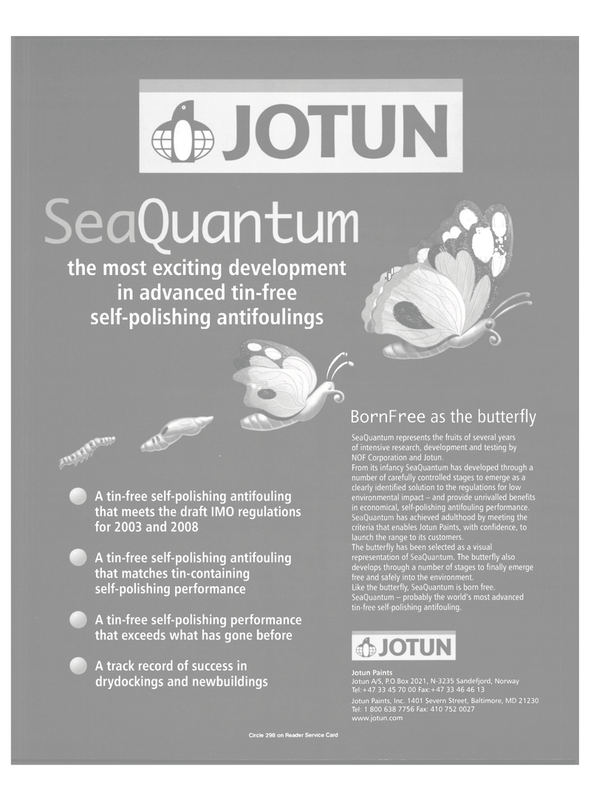 SeaQuantum - probably the world's most advanced tin-free self-polishing antifouling.